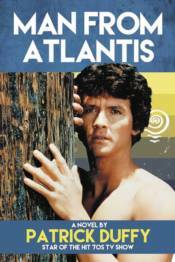 When TV unveiled the series Man from Atlantis no one knew the how, where and why of Mark Harris. Over time the show's star Patrick Duffy formulated his own version of the history of Mark and his people. Here at last is the book that gives every reader and fan of the show the life and mythology of Atlantis, who they were and where they came from. Patrick Duffy's close connection to his fictional character makes this a behind the scenes fantasy story. Mark Harris, the Man from Atlantis, has been quietly living under the protection of Dr. Elizabeth Merrill who saved his life in 1976. As he discovers his past Mark's origins and genealogy finally come to the surface. FUTURAMA BENDER POP! VINYL FIGURE GLOW DEBBIE EAGAN POP! DAWS BUTLER CHARACTERS ACTOR DID YOU GROW UP ME?